Allan Spisak and Peter Cowell of A.C.I.S.S. 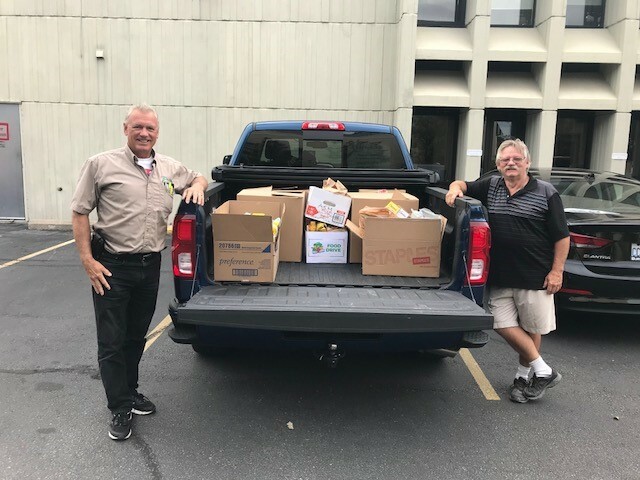 Home & Commercial Inspection Consultants sponsored their truck to pick up food donations for OMDREB's food drive for Halton Food For Thought on October 4. OAKVILLE, ON, October 5, 2017 – On October 4, The Oakville, Milton and District Real Estate Board and its Members collected $1,075-worth of non-perishable food, benefitting one of the 2017 President’s Charities, Halton Food For Thought. Thanks to all the brokerages that supported the food drive. Click HERE to see a full list of participating brokerages.